I LOVE Instagram, who doesn't? I've been using Instagram for a while now, it's a fantastically simple app to use but delivers amazing results. Best of all Instagram is fee, it's the simplest way to tell your story in photos. Now it's highly likely your guests will be using smartphones and capturing your day unless your having an unplugged wedding. 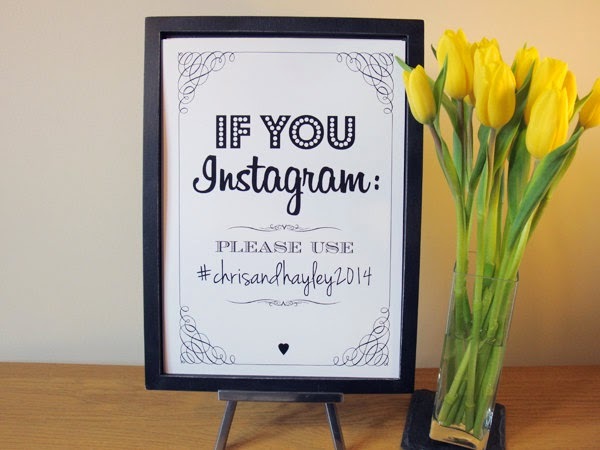 So why not encourage all your guests to use Instagram and see all your photos in one place. This way you get views from the guests perspective without having to wait for developing or upload times. Firstly, create a hashtag, this will help you find your images quickly and all in one place. You want it to be original, easy to remember and short. Something like #SmithWedding, #SallyandPete or #SPWedding. 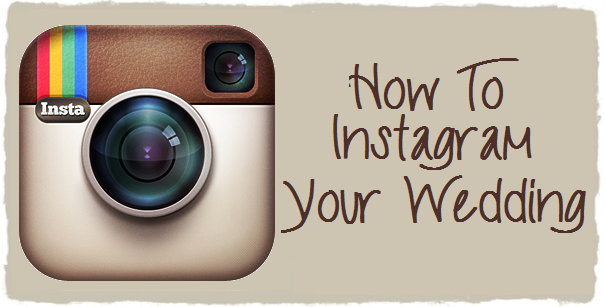 "If you Instagram use hashtag #YourHashtag"
It can be as simple or creative as you like it to be. You could also include the hashtag in your wedding program or by handing our small cards to the guests or even by having a small sign on each of your tables. After your big day you will have so much fun going through all the photos. You can then choose to print your favourite photos if you wish, you could turn them into small square prints or create a calendar or magnets with them. 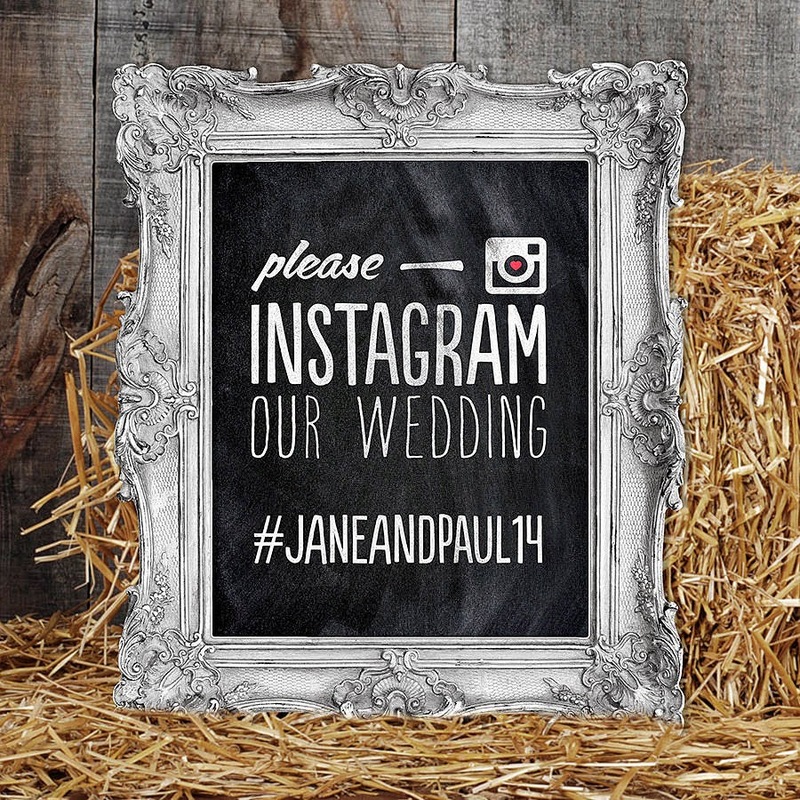 Do you have any tips on instagramming your wedding? Is it something you would consider?